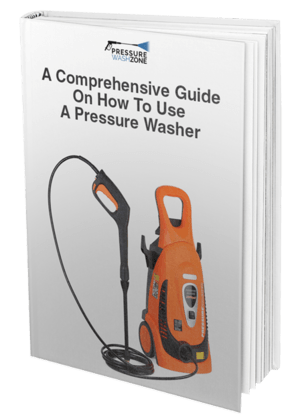 When it comes to maintaining and storing your gas or electric pressure washer, the best thing you can do is to keep the warranty of the machine valid through and through. You can do this for any category of pressure washer you buy. 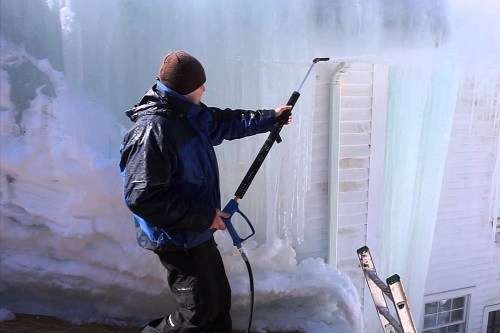 Many people figure they cannot use their pressure washer during the winter because of the harsh weather. It would affect the machine, making the warranty of the product invalid should you go to the manufacturer to have it repaired. Fortunately, for you, this article includes the necessary information you can use to winterize pressure washers. We have discussed how you can winterize both your gas powered and electric pressure washer. If you aren't planning to use your gas powered pressure washer for a month or so during winter, it is imperative to do everything you can to protect its engine from getting damaged during this long storage. This is where it is smart to buy a fuel stabilizer. A fuel stabilizer will help you get rid of all the water as well as the detergent, clearing it from the machine’s pumping system. Next, you need to attach the fuel stabili﻿﻿﻿﻿zer to the machine’s gas tank and turn on the engine for 2 minutes. This will help with the circulation of the fuel stabilizer throughout the machine. 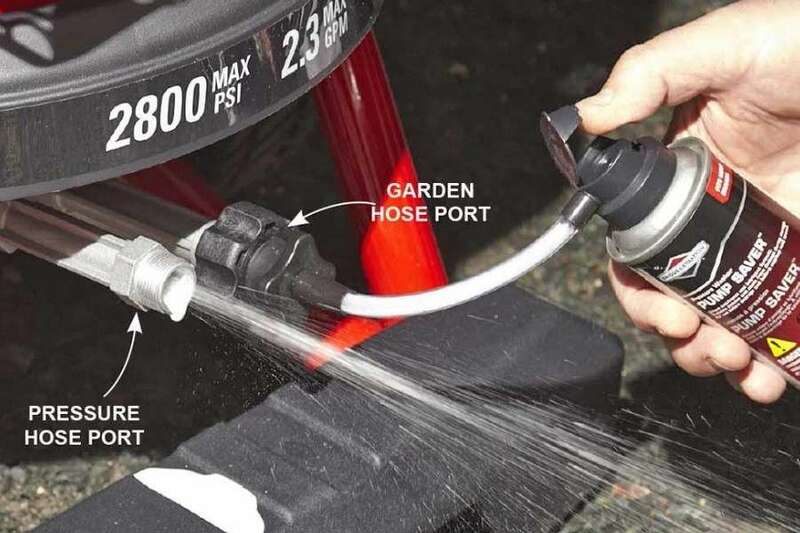 Furthermore, connect your garden hose with your gas pressure washer, like you generally do. Take the tube for the detergent feed and put in a bucket. It is important to fill the bucket with clean water. Do not use any soap or detergent in the bucket. After you put the detergent feed in the water, switch on the machine and pull the 40-degree nozzle tip. Keep the machine switched on for 5 to 6 minutes. This will flush out all the detergent solution from within the pressure washer. Lastly, you will have to purchase a bottle of anti-freeze to save the pump from freezing. If the weather forecast for the coming days is harsher than you expected, use antifreeze on the pump’s inlet. This will help keep all the essential mechanical systems shielded from freezing and any mineral deposits. 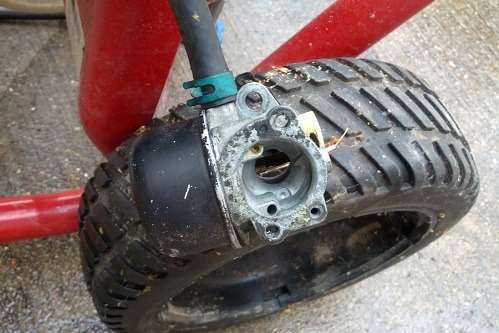 When you talk about storing and maintaining an electric pressure washer in the winter, it is important to realize that electric washers do not have a gas-powered engine. This means it is necessary to just keep the pump system from succumbing to the cold. The first thing you should do is to get a bucket of clean water from the tap. Refrain from using any detergent or soap in the water. Place the detergent feed in the bucket. Take your garden hose and connect it with the machine, and then turn the tap water on. Switch the machine on, take the wand and spray the remaining detergent solution or water inside the pump. Do this for a couple of minutes. This will help flush all the soap solution and water out. After 2 or 3 minutes, detach the garden hose, and spray the remaining water out of the machine. The most important step to storing your electric pressure washer in the winter is to store it in a nice, warm place. You can store it somewhere inside the house. Or you could store it in the garage, but then you will have to use antifreeze to protect its inner seals from freezing and from mineral deposits. Winterizing pressure washers is important and you can follow a few tips to ensure you winterize your unit properly. For example, if you are confused about where to effectively store the machine, you have two good choices: the basement or a secure and warm storage unit in the garage. 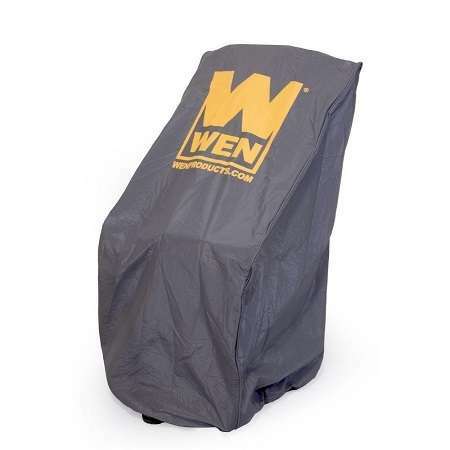 Moreover, you can also buy a storage cover for the pressure washer. These help cover the inlet mechanisms and systems of the machines from harsh temperatures. Think of it as a jacket for your washer. And it isn't that expensive, you can buy one for under $30. When you know the weather will not be as cold you except, you can use the pressure washer to wash the snow from your car. Plus, because the streets and roads are sprinkled with salt to enable more traction, the chassis and underside of your car will be sticking with salt deposits, which can damage your car. Therefore, if there is anything you want to use the pressure washer for, it should be cleaning your car. In addition to this, you can also use it to clean the outside of your garage or your metal roof, washing away the mineral deposits, the grime and stains. Overall, these are some of the best tips you can follow to ensure your pressure washer remains functional during the winter.